Newsone is a flexible news WordPress Theme. It is integrated functionality featured articles and Photos carousel to display latest articles and photo or video posts to emphasise your most important messages on the homepage. You can add video to your post from more than twenty video services such as Youtube, Vimeo, etc . As well, you can choose the number of Advanced categories and Advanced posts to show. Automatic Image Resizer, which is used to dynamically create the thumbnails for the blog posts. SEO strategy and it will help you get better rankings and traffic. • Featured tag based tabber section on the homepage to emphasise your most important messages. Just add “featured” tag to the post. • You can choose the number of Advanced categoties and Advanced posts to show; control the number of featured carousel posts, Most commented and Recent commented modules. • Integrated NattyWP Theme Framework to tweak the layout, color scheme etc. • Additional page templates for Archives, Sitemap and Fullwidth. • SEO Optimised Layout with custom SEO settings. You can optimize each post. • Automatic Image Resizer, which is used to dynamically create the thumbnails for the blog posts. • You can add video to your post from more than twenty video services such as Youtube, Vimeo, etc. • Drop-down menu´s; You can exclude any page and choose between displaying pages or categories. • A completely widgetized sidebar with custom widgets included in the theme packaging. • You could split a single post up into different web pages. • Banner and Adsense management. • Built-in Gravatar Support for Comments. 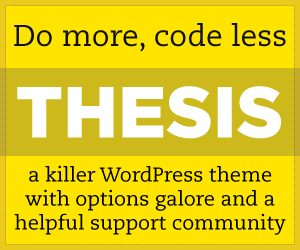 • Fully compatible with the latest version of WordPress.